"The real referendum on the future of the European Union will take place in the Balkans"
One year of negotiations between the Belgrade and Pristina delegations in Vienna has produced no result other than to harden the opposing positions. In the next weeks, the delegates of the great powers, as in the XIX century, will decide the region's future. 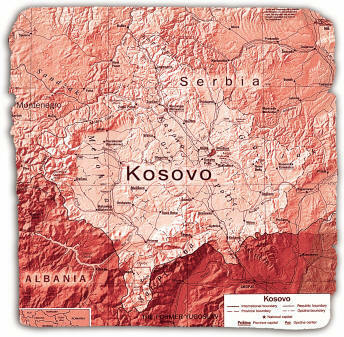 A long lasting peace in Kosovo can only be founded on a new political perspective that overcomes the nineteenth-century notion of the nation state, in the framework of the creation of a political Europe capable of advocating increased sovereignty and of fully implementing the principle of subsidiarity. Two years ago, in order to exit from the evident Kosovo stalemate, the Osservatorio sui Balcani tried to introduce a new perspective in the ongoing debate. the need to positively welcome and present innovative answers both to the self-governing demands and to the claims of plural heritages coming from the Kosovo society. Our proposal was that of Kosovo as the "First European Region", with a status guaranteed on the international level by a strong linkage to European Union institutions and with self-government on the internal level. Little has been achieved since then on the diplomatic level, while the political climate in the region has dramatically worsened. The debate is blocked on symbols and disregards the Kosovo citizens' present and future life conditions. Endless stalemate or a solution imposed on one (or both) of the main actors increases the risk of renewed, virulent conflicts. Kosovo's reality, today, is that of a subsidized economy, artificially supported by the international presence and polluted by organized crime. The reduction of the diaspora's remittances, as a result of Europe's migration limits, represents a further risk factor for the near future. Without an economy capable of adding value to internal resources, Kosovo - independent or not - is set to become an "offshore economy", potential hostage of criminal networks. Both in Serbia and in Kosovo, it is difficult to develop a perspective other than the mutually exclusive claim of a full state sovereignty on the area. However, we believe useful to discuss again the elements that could lead to a shared solution. These elements are outlined within the proposal of Kosovo as an "Autonomous European Region". From the European point of view, the human, social and financial costs of renewed violent conflict or simply from proximity to an ungoverned area are far greater than the costs of a serious policy of inclusion. Solving the Kosovo conflict represents on the contrary a historical opportunity for relaunching the European unification process following the shock of the French and Dutch referendums. Fifty years after the Rome Treaties began the process towards the European Union, Kosovo and the Balkans offer again to Europe the very reasons of its constitutive process: to confront conflicts through inclusion and political innovation. This time, however, it is not only the European governments' diplomats that must intervene. It is necessary that civil society initiatives regain momentum and examine if unexplored negotiating approaches may develop opportunities useful to official diplomacy. Peace movements, local and regional authorities and non-governmental organizations, which have been building territorial partnerships with Kosovo throughout these years, are called to use their expertises and to seek solutions outside rigid official positions. Today, we again bring up our proposal of Kosovo as an "Autonomous European Region", integrating it with a platform intended as a starting point for imagining a specific path to achieve this result. While aware that no agreement can be imposed by the outside but must be built by the parties involved, our proposal aims to stimulate dialogue between the different communities, by introducing new ideas and hypotheses. 9. Settlement of the disputes between Belgrade and Pristina on properties belonging to the Yugoslavian Federation or Serbia, with the compensating intervention of the international community.